Wireless and Satellite Technologies Make Telecommunications Soar - Plunkett Research, Ltd.
By mid-2018, there were approximately 8.2 billion wireless subscriber accounts worldwide—that’s more subscriptions than the total population of about 7.5 billion. Many consumers have multiple wireless devices and accounts. While smartphone and wireless internet remain inaccessible or unaffordable for a significant segment of the earth’s populace, those barriers are falling rapidly. Most notably, an industrial giant in India, Reliance Industries, has launched Jio, a revolutionary 4G wireless service that sells at rock bottom prices. Jio may enable even very-low-income people in India to carry a phone. Jio has the ability to offer free calls and very cheap internet access by relying on advertising and content revenues. Watch for similar services to hit the rest of the emerging world over time. Meanwhile, the next big thing in wireless internet service is 5G technology. The concept is expected to produce blinding download speeds, perhaps as high as 10 Gbps. Demand is rising for instantaneous connectivity and ultrafast downloads of movies and TV content, calling for 5G’s latency (meaning response time) of as little as one millisecond, compared to 4G’s 50 milliseconds. The world’s leading carriers and equipment firms are pouring hundreds of billions of dollars into a near-term launch and roll-out of 5G. Private space launch firms and advanced technologies that enable the manufacture of very small, very inexpensive satellites will soon enable much less expensive internet access and data communications in many parts of the world. OneWeb Ltd. has designed an advanced, low-earth-orbit satellite constellation to provide global coverage, particularly to parts of the earth that currently lack reliable or affordable internet access. Its constellation will eventually consist of as many as 900 satellites. OneWeb’s satellites are designed to orbit relatively close to the earth, allowing for better internet access speeds, while they interlock with each other electronically to create coverage over the entire planet. Small, low-cost user terminals will communicate with the satellite network and provide wireless internet access. These terminals will provide connectivity with no change in latency (speed) during satellite handovers in order to ensure continuous quality of voice, gaming and web surfing experience. Compared to traditional satellites, OneWeb units have fewer components, and are lighter in weight, easier to manufacture and cheaper to launch. The satellites contain on-board propulsion and state-of-the-art positioning GPS sensors that ground-track their placements within meters. The on-board propulsion systems are capable of performing maneuvers to steer clear of space debris. When an OneWeb satellite nears the end of its service life, it will de-orbit automatically. The initial phase of the constellation launch is slated to begin by early 2019. Investors in the firm include Qualcomm, Virgin Group, Airbus Group SE and Coca-Cola. Space launch rocket services have been contracted to Arianespace SA and Virgin Galactic. OneWeb broke ground on its $85 million high-volume satellite manufacturing plant in Exploration Park, Florida during 2017. 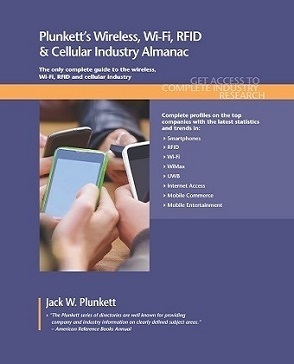 Plunkett’s Wireless, Wi-Fi, RFID & Cellular Industry Almanac, 2019 edition. 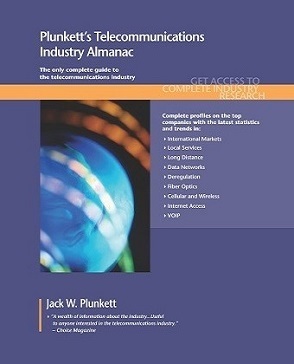 Plunkett’s Telecommunications Industry Almanac, 2019 edition.